I’ll Take You To The ER, the Women’s Shelter, or the Grocery Store. I’ll Even Deliver Your Baby. Carmen Lopez lives in Huron, a town of over 6,000 people in California’s Central Valley surrounded by fields full of vegetables. There is a small health clinic in Huron, but if you need to get to the ER, dialysis, or pretty much any kind of emergency or specialty medicine, you’ll need to drive at least 20 miles and sometimes 60, each way. Nearly a third of the households in Huron lack a car and a licensed driver. The bus to Fresno, which is 50 miles away, operates once a day and takes more than two hours each way. But Huron has a homemade fix: raiteros, a group of retired farm workers who give rides in exchange for gas money and lunch. Carmen, who retired from working in the fields in 2002, first started driving other workers four decades ago, when they labored alongside one another picking melons, tomatoes, and other produce. Now she’s a raitera full-time. Around Huron, Carmen is famous for having delivered a baby in her previous car, a minivan whose odometer had reached its limit and gone around again. “I’d driven the woman to all of her doctor’s appointments. She called and told me, ‘It’s coming.’ I picked her up and started to drive to the hospital in Hanford, which is about 30 miles away, but the baby was already on her way. I parked in front of the police department. It was a girl. Of course I didn’t charge her for the ride. It was a blessing.” Now the little girl calls her grandma. Carmen has her regular clients. There’s a couple that needs to go to dialysis in Coalinga, which is 19 miles away, twice a week. She drops them off and goes to the library for two or three hours while they get treated. One regular passenger has to go 30 miles every week for allergy shots, another has a weekly trip to Fresno. Someone else recently arranged to have her drive them to Fresno for kidney surgery. Often her riders are uncomfortable from their procedures, as well as worried about their health, but Carmen tries to make the trip friendly and pleasant. It’s easy to see why families would feel better riding with Carmen rather than in a taxi or an ambulance. She has an easy, practical grace. She’s not just unflappable; she carries an infusion of stylish confidence. When I ask her about why her regular riders rely on her, she explained that it’s “confianza,” a deep word for familiarity, trust, and mutual dependence. She says that when she’s driving someone to the ER she talks to them and if they’re in pain she comforts them. “If they’re in labor they pinch and yell and hit me. On one occasion a girl took too many pills and so I drove and I told my daughter to slap her and talk to her, shake her, don’t let her go to sleep.” They got to the hospital in time. If her riders are uncomfortable because they don’t speak English she’ll take them into the office, help them fill out forms, and sometimes do a little translating—though she says her English isn’t very good. And when they come out of the hospital she’s right there waiting. It’s not just the patients she takes care of. There’s a family she often drives that consists of a grandmother and her four grandchildren, whose mother died. They all live together in a small trailer, which is crowded and very hot in the summer. Recently, Carmen drove to Valley Children’s hospital to pick up the grandmother and her youngest grandchild who’d had her tonsils removed. But the grandmother came to Carmen’s car crying. When the child awoke in the hospital’s crisp, cool air, with aides offering her ice cream, she’d asked if she could stay longer. The grandmother emerged alone and devastated, afraid the child missed her mother. Carmen soothed her. 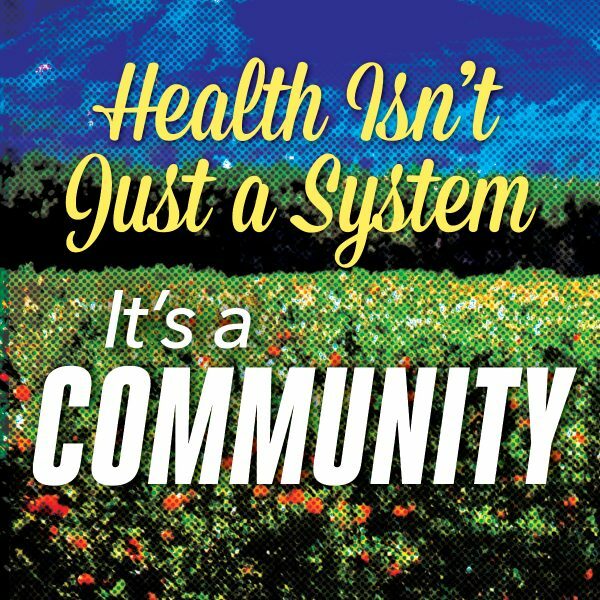 … there is no research data gauging their impact, but for some rural families raiteros are as much a part of the health care delivery system as the nurses who take their blood pressure. No official agencies keep tabs on raiteros and other drivers like Carmen, and there is no research data gauging their impact, but for some rural families raiteros are as much a part of the health care delivery system as the nurses who take their blood pressure. A 2013 Fresno County Transportation analysis surveyed 573 disadvantaged people using Fresno medical services and found that a full 39 percent of rural clients said they’d taken a shared ride to their appointment, making it the dominant mode of travel—more than buses, taxis, and other forms of transportation. The researchers were surprised at the importance of shared rides, and recommended study and expansion. Getting healthcare in Huron is more than a matter of distance. Carmen frequently drives people to the ER for stomach pain, high blood pressure, and complications of diabetes. Huron residents typically choose between the ER in Coalinga or the one in Hanford, which is 10 miles further. The closer ER has a poor reputation: because it’s near a prison, inmates get priority over locals and the wait can be long. Some locals feel that the facility lacks equipment and gives poorer care. But Carmen lets her riders choose. Once there, she waits with them. Sometimes, she says, they won’t get seen for many hours and ask her to bring them home without seeing the doctor at all. One girl in town has potassium levels that can fall dramatically. If Carmen is not available to take her to the ER the family calls an ambulance. Without raiteros like Carmen, some people in Huron would have a hard time getting to the doctor at all. The county of Fresno has a program called Measure C that offers taxi scrip to people over 70 who need transportation to medical appointments. But even with the vouchers, which offer a 75 percent discount, the subsidized rides cost more than the raiteros. Because taxis are dispatched from towns as far away as Fresno, a ride from Huron to Fresno can cost $300. With the subsidy, the rider will pay $75, which is still much more than $40 or $50 for Carmen’s more personalized ride. She’s also happy to stop at the pharmacy or grocery store so riders can run errands after the appointment. Carmen has joined other raiteros in Huron and the local nonprofit ValleyLEAP to try to create a more formalized raitero network with a dispatcher and hybrid or electric vehicles. 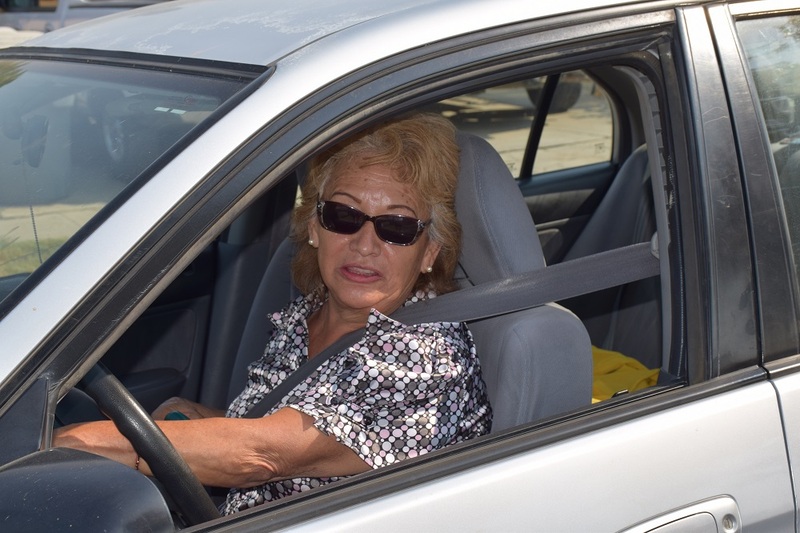 The project, called Green Raiteros, has slowly attracted funding and Carmen is eager to stop driving her own car and participate in the experiment. Today, Carmen drives partly because the town is like a family. When she was younger people often helped her mother and her by giving them rides when they needed them. Her four daughters, who graduated from USC, Berkeley, UC San Diego, and San Jose State, are all off living their lives elsewhere. Being a community resource is a serious job. She has driven women to the domestic violence shelters in Fresno. On the days people get their checks or their EBT’s for food, she takes those who need a ride to the nearest big grocery store, in Hanford. Just recently, she provided transport for families doing their back-to-school shopping. *Photo courtesy of the author.